[THE INVESTOR] Korean chipmakers Samsung Electronics and SK hynix are pouring more resources into producing chips for self-driving cars amid their slowing sales in key sectors such as PCs. SK hynix, the second-largest memory chipmaker next to Samsung, said on July 26 that its car business now makes more than 10 percent of DRAM sales. DRAM chips are used for temporary data storage. The company added the figure for NAND chips, used for long-term data storage on smartphones and computers, is lower than that for DRAM but continues to grow. 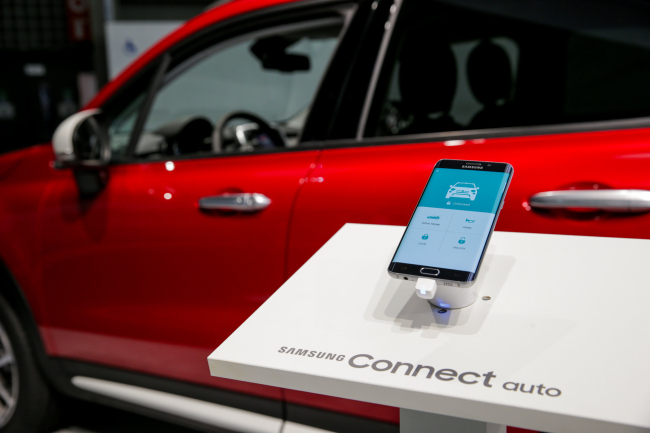 Samsung’s smart car solution Samsung Connect Auto will be supplied to US telecom giant AT&T from August. Chipmakers are recently struggling with falling prices as the demand for PCs and smartphones is continuing to decline. SK hynix said its second-quarter profit plunged 67.1 percent to 452.8 billion won (US$399 million) from a year ago especially due to its slowing DRAM sales. Compared to its compatriot rival Samsung, it has a large sales portion of DRAM chips. Samsung, the market leader on memory chips, has also been keeping a close eye on automotive chips. The company’s vice chairman and semiconductor business chief Kwon Oh-hyun currently oversees the company’s automotive parts business overall. Samsung recently acquired a 1.92 percent stake in China’s BYD, the world’s largest electric vehicle maker, in a way for it to expand its presence in the soaring automotive parts market in an era of electric mobility. The company plans to supply its own connected car solution Samsung Connect Auto to US telecom behemoth AT&T from next month. First unveiled in February this year, the solution is a little plastic box powered by Samsung’s Tizen OS that plugs directly into a vehicle’s on-board diagnostics to monitor the car’s operation, provide updates on eco driving efficiency and offer Internet connections for entertainment.